I was given a designer purse as a birthday gift and was so thrilled until one of my other friends pointed out that the nameplate should say “Prada” not “Proda.” So my Prada was a Nada, which was embarrassing, but it wasn’t life threatening as other counterfeit products are. For example, the third most commonly copied product is drugs. The U. S. Customs department said that agents seized 24% more shipments of counterfeit goods last year (2011) than the previous year. In fact, fake purses didn’t even make the top ten list of these kinds of bogus products. The Food and Drug Administration found fake versions of the cancer drug Avastin that made their way into doctors offices and in two cases, consumers received counterfeit versions of the attention deficit disorder drug Adderall. A mom noticed the misspelled label and alerted authorities. Way to go, mom, I guess a secondary clue was that junior was bouncing off the walls instead of calmly reading a book. The Electrical Safety Foundation International says that there have been more than 1 million counterfeit electrical products recalled in recent years to include extension cords, batteries and power strips. These fake versions can cause fires and destroy devices. The most popular knock off is electronics where the Gallup Consulting group found that 64% of counterfeit electrical products are purchased from legitimate shops and retailers! This includes iPhones, iPads and iPods. Phony apple stores abound in China and Hong Kong—the country that accounts for 80% of the value of counterfeit goods. There was one industrious crook in America who set up a fake Apple storefront online and sold thousands of products before he was caught. Don’t think that buying fake shampoo, toothpaste, or perfume constitutes getting a good deal either. These phony versions of branded personal care products can contact caustic chemicals that can harm the unsuspecting public. There are ways to know whether you are getting the real deal or not. Look for misspelled words and incorrect grammar on products, packaging and websites. It might be a good idea to invite your 7th grade English teach to go shopping with you. Beware of packaging, websites and products that don’t include company names, toll free numbers or other contact info. In fact, you can whip out your legitimate iPhone and call the toll free numbers on the product to see if they work or not. If an item doesn’t come with a product manual that contains safety warnings and instructions for use and maintenance, then it’s probably a dud. Don’t ever buy toys, anything electrical or items for children from flea markets or dollar stores that don’t allow returns. Watch out for fake UL marks. The legitimate one includes “UL” in a circle, the word “LISTED” in all caps, the control or issue number and what the product is. I was recently on ABC News, Good Money Show, talking about whether you should buy a hybrid, that extended warranty or a programmable thermostat–are they really worth it? Q. When consumers consider purchasing a product that carries a good faith promise of “invest a little money now and save big money down the road” how can you tell which investments are worth the cash and which are scams? ELLIE: Whenever there is a post recession economy, there is also going to be a proliferation of those unscrupulous individuals who will try to take advantage of a consumer who is out to save money and cut expenses. There is a difference between fraud, which is illegal and punishable by law and the empty promise, which a salesman might make to close the deal. Before you sign the dotted line with a solar panel sales company, check them out on the Better Business Bureau site. But just because there are no complaints doesn’t mean it’s a legitimate business. Ask for references, don’t give into pressure sales, never respond to an email inquiry, and guard your personal information. Q. Let’s go down the list of common purchases that promise to save us money in the long run if we invest a little money now. Let’s start with a simple programmable thermostat that costs around $50. Is it worth it? ELLIE: The average family spends $2700 a year on home energy and nearly half of that goes to heat or cool their home. A programmable thermostat is easy to install and should save you around $180 a year, so you’ll recover that investment in about four months. This is a “must have” purchase for every home. Q. What about a hybrid car? The promise is that we will save enough on gas to recoup the extra cost of purchasing the car. How much more do these cars costs and do you think that it’s worth the additional expense? 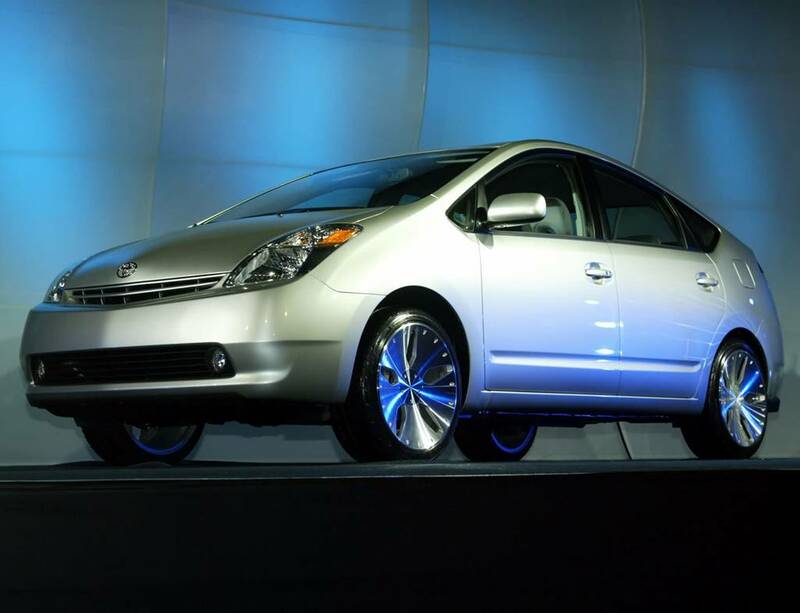 ELLIE: If you buy a hybrid, you’ll pay 20 to 30% more than a nonhybrid counterpart. The answer to this question is Yes and No. Yes, if you buy a less expensive hybrid like a Toyota Prius (which starts at $22,000) and if you put 20K+ miles on your car every year. You’d also need to do mostly city driving for this to be worth it. No, it wouldn’t be worth it if you buy a more expensive hybrid, don’t put as many miles on it or if gas prices are under $4 a gallon. Q. I use my laptop computer a lot and I’ve always bought an extended warranty on it because I want to make sure I can save on repairs. I spent about $100 for my laptop warranty for a two year extended warranty. Did I do the right thing? ELLIE: If you have an expensive laptop ($1000 or more), then you did the right thing because laptops cost more to service than desktop computers. But if you bought a $400 desktop, chances are you can fix a lot of those problems yourself—they are very user friendly. So in the case of an inexpensive desktop, it would probably be best to just pass on buying an extended warranty. Q. This past week the Mortgage Bankers Association released mixed mortgage rates. An average 30 year mortgage increased to 4.82% and the average 15 year mortgage rate was 4.23%. A big question on homeowner’s minds is: should I pursue a mortgage refinance? Ellie, when the average refi costs anywhere from 2% to 3% of the total loan, when is it a good idea to refinance? ELLIE: There’s a good rule of thumb when it comes to refinancing your home. If you can get at least a full one percent break from the interest rate you’re now paying and if you do not plan to move for the next 3 to 5 years, then there probably won’t be a better time to refinance. Just make sure that you crunch the numbers, using my mortgage refi tool at elliekay.com and be sure you shop around with different lenders such as INGDirect.com, wellsfargo.com, and bankrate.com. Get a GFE (Good faith estimate) up front and don’t let them add the closing costs to the back end of your loan because you would be paying interest on your closing costs and that negates a good portion of the value of the refi. Q. Summer is here and I’ve always heard that planting your own garden can not only yield great tasting fresh produce, but you can also save a lot of money. There’s also CSA (community sponsored agriculture) programs that allow members to purchase shares and get weekly produce from specific farms. Are these a good idea? ELLIE: You’re going to pay around $70 to plant your own garden and it will cost around $450 to purchase a 12 to 15 week CSA share So the answer is “yes” this will save you money if you want to invest 5 hours a week on your own garden. If you go the CSA route, the breakeven point is spending more than $33 a week on produce. One other option is to split your efforts with a friend or neighbor. You can share a local garden or you can each go in on a CSA share (paying $225 each instead of the $450 for the full share). Plus, you’ll get some healthy and super fresh results! Q. We’re hearing a lot about energy star appliances such as refrigerators and washing machines. They promise to save us 40% on energy and water bills but sometimes cost 70% more than non-Energy Star certified. Is it worth it to replace your existing appliance? ELLIE: If you have to replace that appliance anyway and you shop around, then yes it can be a great example of spend now and save later. Let’s take the example of a washing machine. You have an older top loading model that costs around $44/ year in energy. An Energy Star rated front loader (such as the Frigidaire Affinity, 3.5 cubic foot model) costs only $18 per year in energy (gas or electricity). But, it also saves 40% on water, you use less detergent, the clothes come out less damp, which means less time in the dryer. All these additional savings, including the savings of around 7,000 gallons for an average sized family means that this is a good purchase. Plus, if you go to www.energysavers.gov , you’ll find a list of appliance rebates and tax credits that are available for Energy Star rated appliances in your state! Q. What about credit card balance transfers. There are still a lot of offers out there that promise to save consumers money with a lower interest rate. It can cost up to 5% of your credit card balance. Every financial expert has an opinion on this. What’s yours? ELLIE: I’m not a big fan of credit card balance transfers and it’s not just because of the transfer fee. I’ve seen too many “hoppers” who transfer balances frequently, chasing the lower interest rates when the existing introductory rate expires. I have an online calculator at elliekay.com that can help you determine how much money you would save in a balance transfer. A lot of these offers are for consumers that open a new card and when you’re opening multiple new cards and closing others down, just to chase a lower interest rate, you risk deteriorating your FICO, or credit score. So unless you’re going from an 18+% rate down to a fixed 5% rate (plus the transfer fee) and chances are not good you’re going to find that kind of good deal—then just pass.